We are super excited to announce that grammy award winning entertainer Melissa Manchester (yes, THAT Melissa Manchester) will be bringing us an intimate night of music to benefit Lulu's Rescue!! Popular local singer/songwriter Russell Norkevich will be opening the show at 7:15. Tickets are $125 VIP / $75 general admission and are available through New Hope Winery. All tickets include a Meet & Greet with Melissa after the show. VIP tickets are limited and include dinner and priority access during the Meet & Greet. 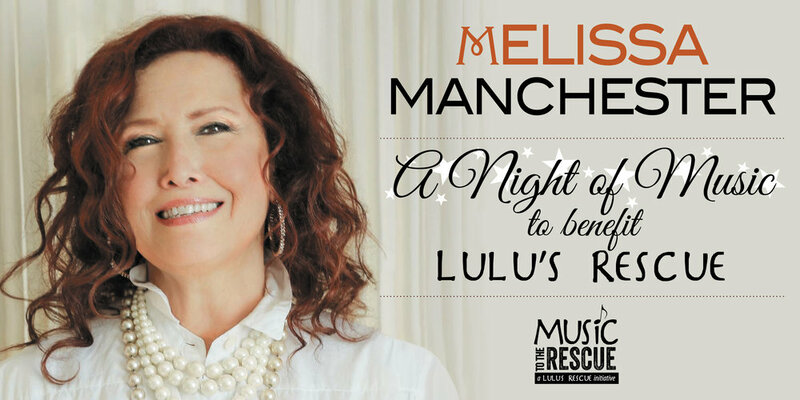 Don't miss this opportunity to see Melissa Manchester and help Lulu's save more dogs! MLK Day of Service - Help Lulu's set up our first physical location!